It was all smiles at Kildare Town Community School where the students we spoke to had a mixture of happiness and relief. Harry Thompson said he had gotten 430 points, well ahead of the 327 he would have required last year to get Construction Management. He said he was “happy out”, but his overwhelming emotion was relief. He was joined by mates Devon Guing, Liam Kehoe, Ryan Glennon, Colin English, Jack Brady, Katie Kelly and Leah Hayes, and given the tone of the good natured and excited chat, it seemed they were all happy with their results. 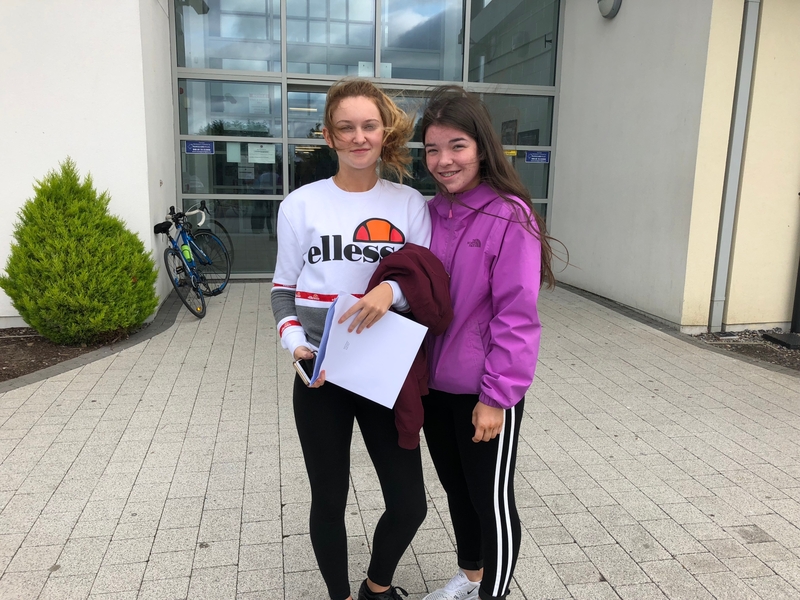 Sarah FitzSimons said she was “happy enough” with her results while Jessica Powell, who was there with her relieved and delighted mother, was also over the moon. 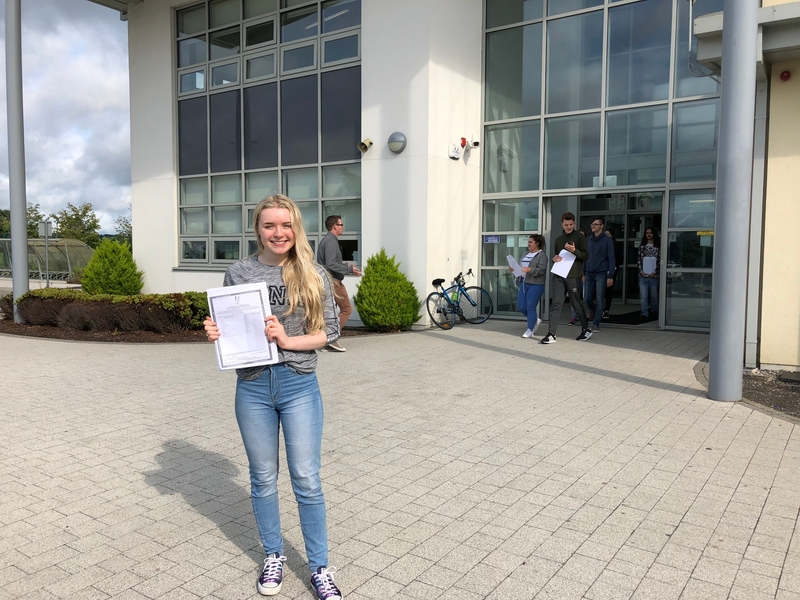 She managed to get good results, including four H1’s and should be have enough points for her preferred course, Biomedical Engineering. Deputy principal of the school John Hayes said the school was overall very happy with the results achieved by the students and noted that several had “broken into the 500’s” in terms of points. The school had 110 students doing the leaving cert and a total of 13 doing the Leaving Cert Applied exams. “They achieved good results there,” he added. In terms of career and course options, Mr Hayes noted that engineering appeared to be a popular option.